Zane Benefits, the leader in individual health insurance reimbursement for small businesses, announced today the publication of a new eBook, "The Small Business Owner's Guide to Modified Adjusted Gross Income." 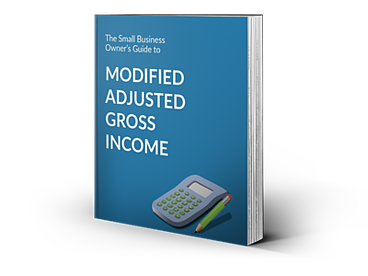 The guide provides small business owners with everything they need to calculate Modified Adjusted Gross Income (MAGI). According to Zane Benefits, many small business owners hear the term Modified Adjusted Gross Income often, yet few understand what it is, how to calculate it, and how it affects their small business. Many small business owners and individuals feel overwhelmed and confused about how to calculate MAGI. The new step-by-step guide provides small business owners and their employees with valuable information to calculate MAGI and where it can be used - including MAGI's role in individual health insurance.